If you know a deserving homeowner in Fairfield County who could use a free roof and wouldn’t mind participating in a public contest to get it, send in your nomination to Prizio Roofing & Siding Co. in New Canaan. Nominate someone and a committee will put up four candidates for a vote. The area business is participating in the No Roof Left Behind campaign, where area roofers hold public voting campaigns to see which homeowner will get a free roof in a certain area — in this case, Fairfield County. Anyone can participate and nominate a friend, neighbor or family member in need of a new roof. From the submissions, four finalists will be chosen for an online public voting campaign. A team of local volunteers will review all the nominees and four will be selected as finalists. The four finalists’ stories and photos will be displayed on Prizio Roofing & Siding Co.’s No Roof Left Behind homepage. From Sept. 14 to 28, 2017, the public will able to vote for the finalist they feel is most deserving. The winner will be revealed online on Oct. 5. 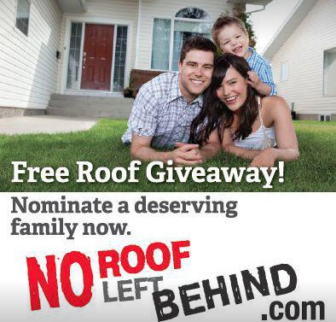 Nominations for the free roof giveaway are being accepted now through Aug. 31 on this Web page of the the No Roof Left Behind website. Nominees must own the home they are living in and be a resident of Fairfield County. The free roof recipient also must be current on his or her mortgage payments. 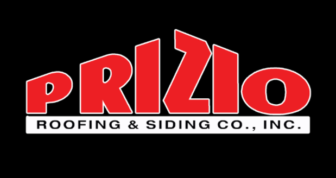 Prizio Roofing & Siding Co., Inc. partnered with No Roof Left Behind as a way to give back to the Fairfield County community that has brought them success for more than 48 years, an announcement from the business said. With the start of the New Year came a substantial gift to Stamford-based Pacific House from the State of Connecticut. The state granted Pacific House $1,610,456 for the acquisition of five affordable permanent supportive housing properties. — an announcement from Pacific House The properties comprise central Stamford’s “Fairfield Commons” village, a development that preserved existing historic homes to create a supportive housing community.